Lock in a great price for Holbeck Ghyll Country House Hotel – rated 9 by recent guests! Our experience was terrific from start to finish. 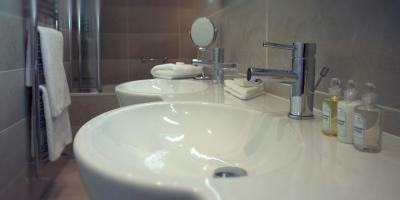 A charming facility with a friendly and attentive staff. All food and wine was exquisitely prepared and served. My wife has celiac disease so no gluten. She was extremely well accommodated without sacrifice. Rooms in the extension are great and the view is lovely. The location was like no other, you have a fascinating view of lake Windermere. The accommodation it self makes you feel like royalty. The restaurant adds to the experience with a very fine and professional touch. The restaurant manager will do his best to make it an unforgettable experience. There are many walks on site with no car transportation needed and other walks that are a close drive away. Fabulous hotel visited before & never fails to not come up to our expectations. Breakfast. Warm and comfortable bedrooms. The views over Lake Windermere. Excellent location. Hot tub. Amazing location, beautiful setting and lovely place. Well worth a trip! We loved the room in the main house, the breakfast, the friendly staff and lovely views. The setting was just perfect. Especially for using the outdoor hot tub. We would definitely stay again and have been recommending to friends & family! The hotel is in a Beautiful location, with amazing views over the lake. All staff were very friendly and helpful, reception staff were extremely welcoming and nothing was too much trouble. Service and food was fantastic, both at dinner and breakfast. The history of the hotel added something unique to the whole experience. Holbeck Ghyll Country House Hotel This rating is a reflection of how the property compares to the industry standard when it comes to price, facilities and services available. It's based on a self-evaluation by the property. Use this rating to help choose your stay! Overlooking Lake Windermere and Langdale Fells, Holbeck Ghyll is a 4-red star country house hotel with an award-winning restaurant, boutique spa and fabulous rooms. The individually designed rooms all include beds dressed in Egyptian cotton. They feature an LCD satellite TV, DVD player and a drink of damson gin on arrival. 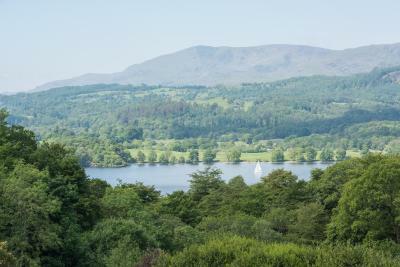 A gourmet menu and international wine list is on offer at the restaurant, which has stunning views of Lake Windermere. In fine weather canapés are served on the terrace. Using organic products, many relaxing treatments are available at the health spa. Guests can also unwind in the sauna and steam rooms. 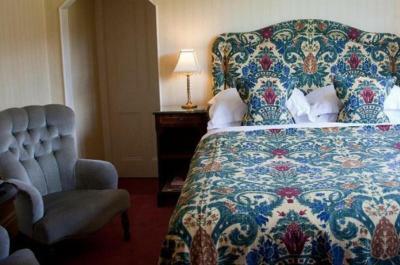 When would you like to stay at Holbeck Ghyll Country House Hotel? House Rules Holbeck Ghyll Country House Hotel takes special requests – add in the next step! Holbeck Ghyll Country House Hotel accepts these cards and reserves the right to temporarily hold an amount prior to arrival. Only one small thing. Food served on cold plates. Always annoys me. Hot food should be served on hot plates. Dinner, whilst skilfully made was very expensive and tiny portions. £72 min for the 4 course menu which I didn't feel was good value. The canapes were minimal for 4 of us. There were only two of each canape, even though there were 4 of us. The bread and butter was minimal, only two plates of bread even though there were 4 of us dining. The front of house staff (reception) were great but the restaurant staff, in particular one waiter, was quite abrupt and questioned my choice to have ice with my wine, commenting that I would ruin a good wine. We asked for a wine from the menu, but he insisted quite rudely that wine wasn't on the menu. When we showed him the menu and the wine we had chosen, he then backed down and said he didn't realise that wine was on the menu. There was a distinct communication problem. The chap on the bar couldn't speak a word of English, my husband had to ask 7 times for G&T as he couldn't understand what G&T was. Most of the staff were foreign which caused issues communicating. Our bill was wrong on checkout. The hotel is in a wonderful setting but the décor was very dated, I'm sure in its hay day it was the place to go, but now feels old fashioned. A strange experience all in all. My wife did not like the giant ogres in the woods but I found them to be quite interesting and a fine poker players! Bed wasn’t that comfortable. Room was very hot! If you like sleek modern decor then perhaps this hotel isn't for you, its a little tired in places, (there were some worn carpets on the stairs leading to our room), but this did not distract from its charm. Due to the level of cleanliness and attentiveness of its staff the hotel achieves a sophistication befitting of its history. The Service was great, food amazing and location was fantastic with lovely views. I'd come back again as the hotel surpassed my expectations in every way! The staff were extremely tentative and changed our room for us as soon as they were notified of a problem. I would highly recommend this hotel and will comeback again. Spa was far too small . Absolutely no chance to use. Beautiful building in an amazing setting. Great staff and lovely comfortable rooms. Bathroom poor needs refurbing bath jacuzzi never worked. Dog from guests in the restaurant area.